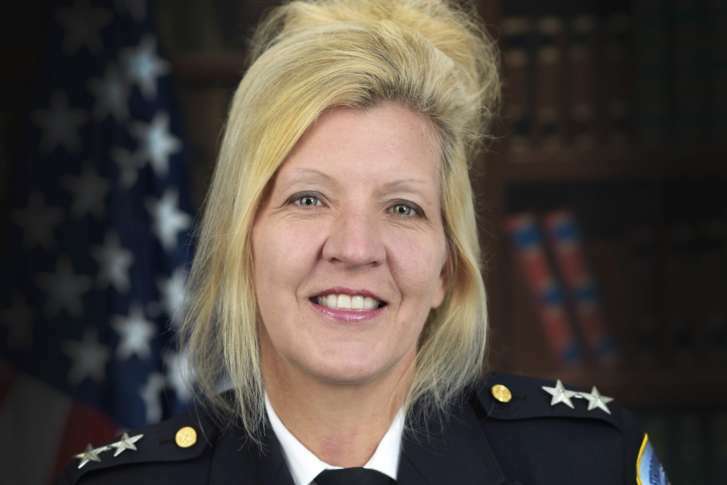 The Metropolitan Police Department announced the retirement of Assistant Chief Diane Groomes on Wednesday. She has been with the police department since October 1990. WASHINGTON — The retirement of an assistant chief of the D.C. police is happening alongside a reorganization of how the city is patrolled. She was assistant chief for the Patrol Services and School Safety Bureau for almost 10 years and had a central role in creating a community policing program, the department said in a statement. Her other achievements included the institution of community listservs, the expansion of neighborhood patrols and the D.C. Fashion Idol program for youth. “Since her first day on the job, Diane recognized the importance of community policing and the great responsibility that comes with wearing an MPD badge,” said Police Chief Peter Newsham said in the statement. Groomes will become head of security at The Wharf, the waterfront retail and residential development in Southwest, The Wharf announced. Groomes’ retirement is effective April 29. Starting April 23, the department said in the statement, the Patrol Services and School Safety Bureau will be broken up into two patrol bureaus, each with its own patrol chief. Patrol Services North, covering the second, third, fourth and fifth police districts, will be led by Assistant Chief Lamar Greene; Patrol Services South, covering the first, sixth and seventh, will be led by Assistant Chief Robert Contee. The School Safety Branch will become part of the Investigative Services Bureau. Each new patrol bureau will hold a community meeting to introduce the patrol chiefs and answer questions. The Patrol Services South Bureau meeting will be held Monday at 7 p.m. at THEARC, at 1901 Mississippi Ave. in Southeast; the north bureau, on Tuesday at 7 p.m. at the Frank D. Reeves Center of Municipal Affairs, at 2000 14th St. in Northwest.